Wednesday 22 January 1879 was one of the most dramatic days in the annals of military history. In the morning, a modern British army was swept aside by the onset of a seemingly unstoppable host at Isandlwana. Nearby, at a remote border outpost on the Buffalo River, a single company of the 24th Regiment and a few dozen recuperating hospital patients were passing another hot, monotonous day. News of the disaster across the river came like a bolt from the blue. Retreat was not an option. 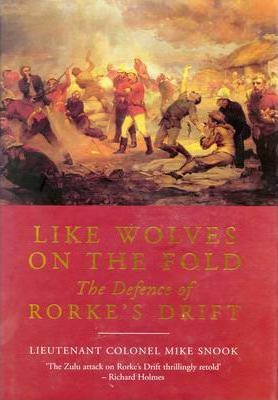 It seemed certain that the Rorke's Drift detachment would share the terrible fate of their comrades. Colonel Snook brings the insights of a military professional to bear in this strikingly original account. It is an extraordinary tale - a victory largely achieved by the sheer bloody-mindedness in adversity of the British infantryman, fighting at the remarkable odds of over thirty to one. The heroics of all eleven VC winners are recounted in detail, and we are offered new insights into how the Zulu attack unfolded and how 150 men achieved their improbable victory. The author describes the remainder of the war, from the recovery of the lost Queen's Colour of the 24th to the climactic charge of the 17th Lancers at Ulundi. We return to Isandlwana to consider culpability, and learn of the often tragic fates of many of the war's participants.